Do Millennials Read? Yes, But They Read Differently. As a professor, I am obsessed with reading and constantly writing. So I am concerned by two recent blog posts on The Next Great Generation that suggest indifference toward traditional texts and library books at the college level. Jeannie: “Getting Gen Y’s Attention: 101” “Even if I had the money to buy every textbook I ever needed in college, most of them would have collected dust on my shelves all semester. One could chalk it up to having a typical Millenial attention span –one that understands thoughts in 140 characters or less – but just like my textbooks, I don’t buy that. Part of my complete disinterest in textbooks comes from the fact that the second a book is published today, it is pretty much obsolete. Since I was in fifth grade, I have been able to access almost any information on the Internet more quickly and accurately than I ever could in a textbook. Furthermore, this online information is free (or if it’s not free, I’ll go look on another site until I find it for free). With a limited budget and unlimited free resources, is there any kind of textbook that could ever capture my interest? Although I understand these young women’s point about online alternatives to books, it distresses me to hear them say they don’t value reading books. I work hard to ensure my students read their assignments. I have tried different approaches over the years — daily quizzes, weekly case essays, frequent tests on text material. This year I tried a new, Millennial-friendly text, MKTG3, by 4LTR Press. Students really liked the book, so they read it. What made this book so much more readable? First it was highly visual. Text was often treated as a graphic element. There were big colorful pictures. Second, the writing style was approachable, not dumbed down but meant to be interesting. Finally, the text provided just what was required, with the ‘extras’ provided through integrated online content. Based on my just released class evaluations, students loved the online quizzes, cases and extra material. There is much evidence that Millennials do read. First, as I pointed out in an earlier post, Millennials are ‘news junkies‘. A study by McKinsey in the U.K. reports that the average person consumed 72 minutes of news a day, compared with just 60 minutes in 2006. They further report that the increase was driven almost entirely by people under the age of 35. Second, reading may not be a priority, but Millennials do spend more time reading than older generations. According to fascinating interactive graphic by the New York Times, those over 64 spent by far the most time reading per day: 1 hour and 24 minutes. 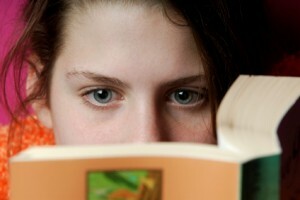 But 15-24 year olds spend on average :50 minutes a day reading and pursuing other interests. This is much higher than 25-64 year olds who spend just 32 minutes. They are reading for information, so they read with purpose and are very good ‘scanners‘. My 16-year old son reads very little fiction other than what is required for his Brit Lit course, but he does read Sports Illustrated and looks up stories of interest to him – like volcano eruptions and oil spills, new movies, and travel destinations. But this also means that they may not be giving their reading their full attention. Millennial’s habit of scanning, and of reading with purpose, can be good news for marketers. By understanding the kinds of information Millennials are seeking, it may be possible for marketers to engage them more deeply in content. What’s more, finding out what kinds of information they seek has never been easier. Key words, twitter trending topics and other tools provide gateways into relevant content. 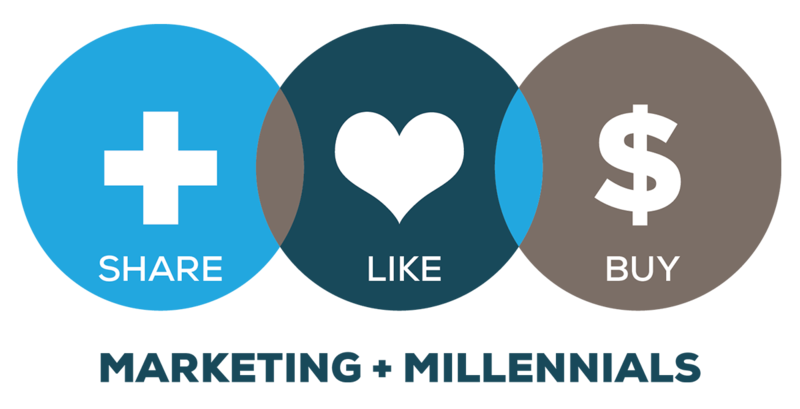 Perhaps the biggest take away however, is that Millennials are capable of taking in a lot of visual information at once, probably more than older generations, provided it is presented in an attractive and easily digestible way. This makes good design as important, if not more important, than good writing. In studies where we have had an opportunity to compare age groups, it is striking how much more attuned younger consumers are to the way information appears on the page. Older consumers tend to overlook poor design and focus on the meaning. Millennials have a hard time getting past the way it looks.